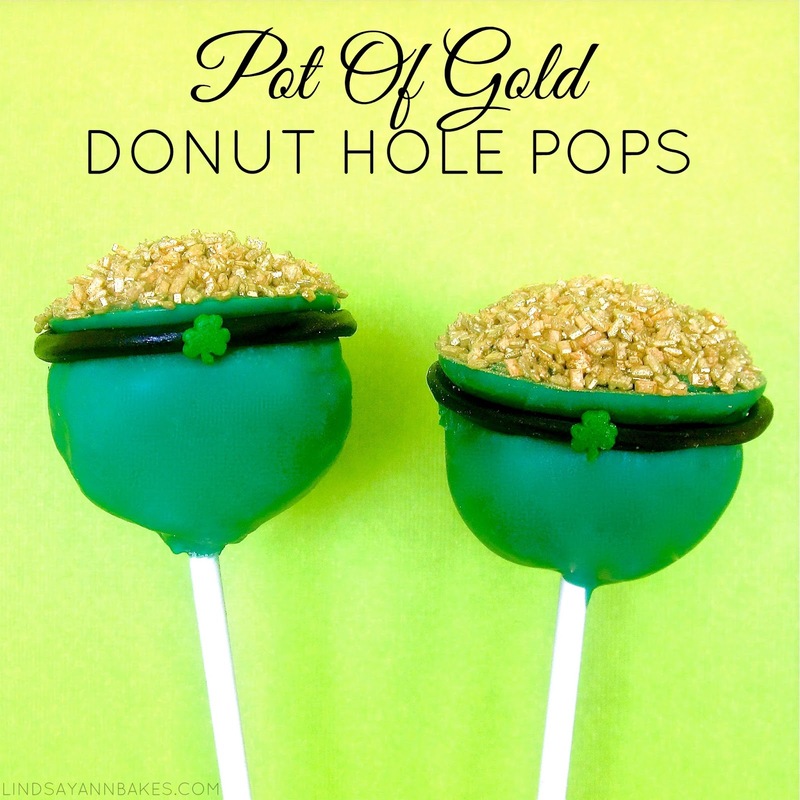 For St. Patty's Day I created some fun pops made out of marshmallows, donut holes and candy accents... easy and delicious! 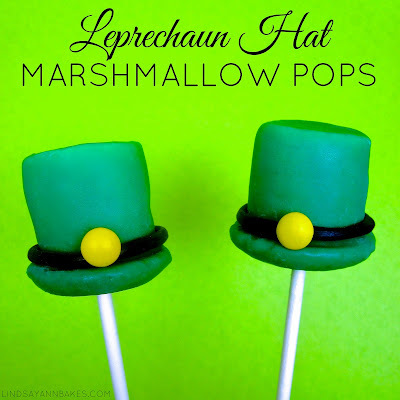 Click here for the step-by-step "Leprechaun Hat Marshmallow Pops" Tutorial! 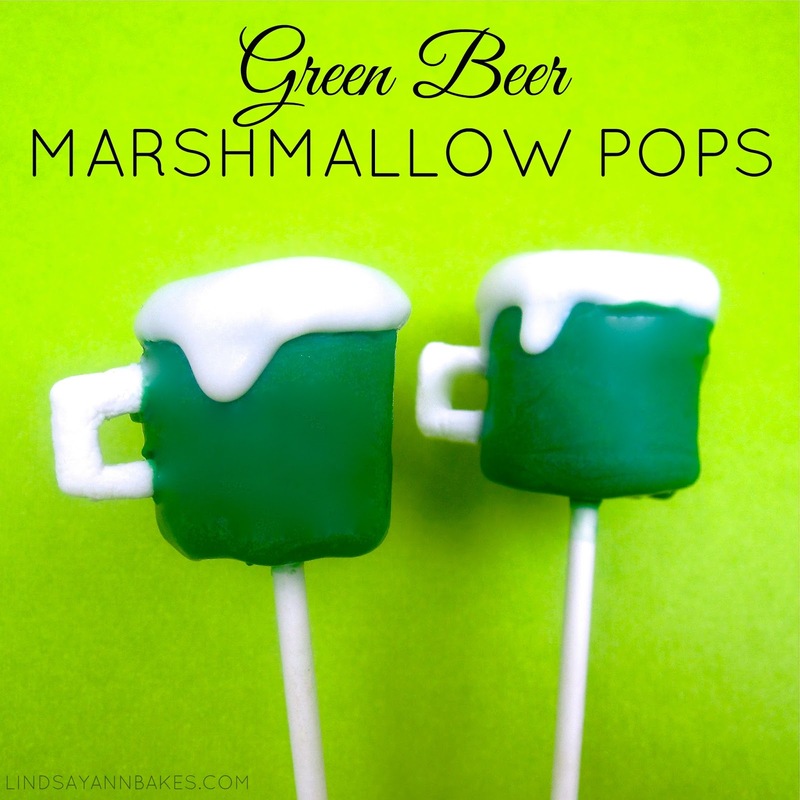 Click here for the step-by-step "Green Beer Marshmallow Pops" tutorial! 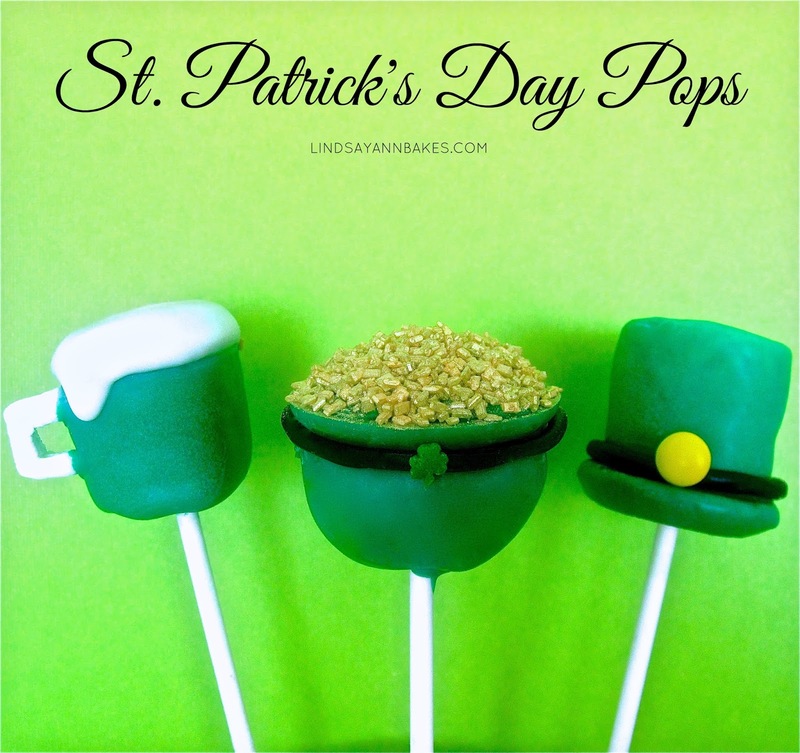 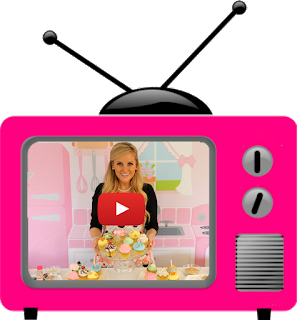 Click here to check out my entire St. Patrick's Day roundup for more fun recipes and treat ideas!